With Wall Street seemingly moving from the sidelines to their pre-match pep talk, the weight of institutional participation in cryptocurrency would no longer rest on the lone shoulders of a Bitcoin ETF approval. Those still looking to the SolidX-VanEck ETF application may be in luck, however, with the SEC having revealed fresh details in a memorandum. 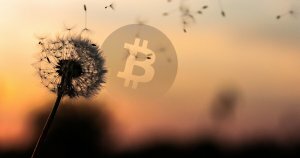 The document lifts the lid on the commission’s meeting, Oct. 9, with VanEck, SolidX, and representatives from the Chicago Board Options Exchange (Cboe) — who appear to have far from thrown in the towel on their years-long quest for approval on what many consider the weightiest Bitcoin ETF proposal in a long queue of contenders. Since first filing for listing on the New York Stock Exchange in 2016, VanEck and SolidX have faced a series of rejections by the SEC, defending at length the validity of their prospective Bitcoin ETF after making a host of applications — the most recent of which currently awaits judgment as the commission purportedly seeks additional input. As outlined in the new memorandum, the duo claimed not only has their product changed since their previous ETF application — rejected in March 2017 due to its apparent failure to “protect investors and the public interest” — but that the entire market structure and “overall circumstances” surrounding their application had now shifted in their favor. This particular assertion seems to have become the subject of fierce debate; and the catalyst for SEC Commissioner Hester Pierce to publish a public dissent claiming the commission had “no jurisdiction” to assess underlying assets. However vexing the SEC’s rulebook may have been to date, the applicants claimed today’s Bitcoin market met all of the commission’s criteria as a fully-regulated, and “significant” derivatives market, and that their application ought to be given the green light. The post SEC Releases New Memorandum on VanEck-SolidX Bitcoin ETF appeared first on CryptoSlate.